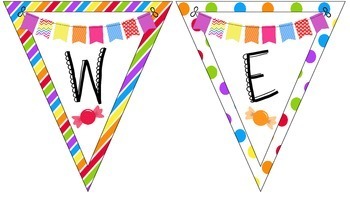 This product is a colorful candy shop themed welcome banner. 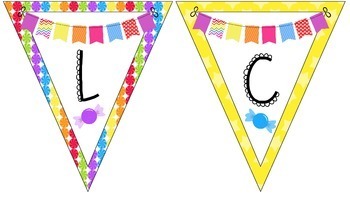 Each triangle can be posted separately or strung together with ribbon. 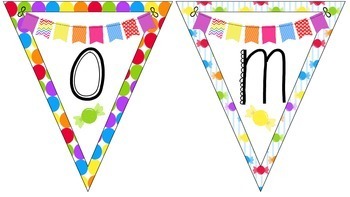 This colorful, sweet banner will help welcome your students every day!